TMM Express is an international network of express delivery of shipments and mail all over the world. Activity has started from 1992, headquartered in Luxembourg, combines a group of companies in Ukraine, EU and CIS. Cargo delivery liability according to CMR convention, using of own fleet. • Door to door international express deliveries within 3-10 working days. 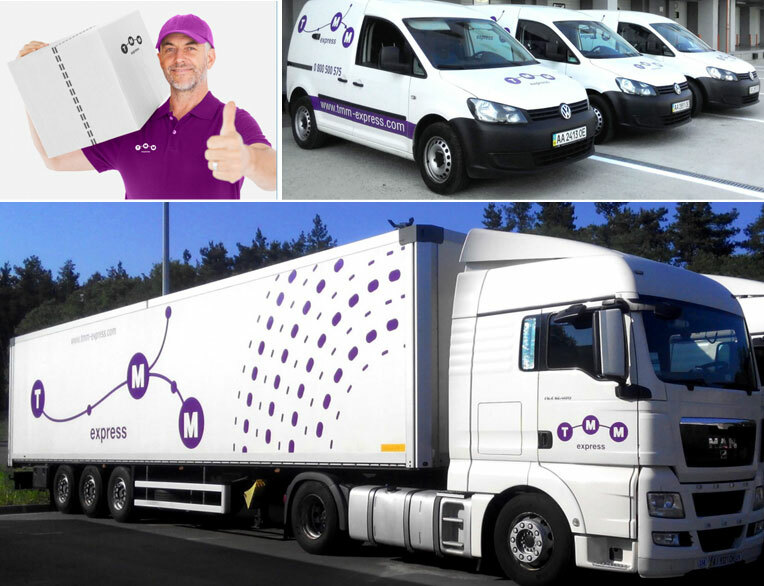 Air Express - international air door to door delivery of cargoes and documents within 1-3 working days all over the world due to fixed transportation rates. Easy Express - international air door to door delivery of parcels, pallets, large dimensions shipments within up to 7 working days from/to countries: China, Taiwan, Canada, Israel, due to fixed transportation rates. Road Freight - deliver of freight cargo by road. We secure either dedicated vehicle or provide more cost-saving consolidated freight transportation solution. Air Freight – the best dispatch solutions for bulky non-standard cargoes thanks to own fleet and proven collaboration track record with leading air carriers. Door to door, door to airport services are available. Sea Freight - the most cost-saving mode of transportation for oversized & bulky long-haul shipments. We manage deliveries of super heavy bulky cargos (up to several thousand tonnes) by sea. • Drawing up of cargo customs declarations. Pharma Services, Delivery of cargoes requiring temperature conditions such as +2 +8С, +15 +25С, -80С, Ambient Temperature. Ukraine presents attractive market for e-commerce. Duty free goods - value up to 150 euro per 1 person / per 1 day. Solutions available: Door-to-door delivery on the next day after customs clearance, sms notification, return of goods, Track & Trace. TMM Shopping provides cost effective delivery service solutions for customer`s orders from EU online shops into Ukraine. TMM Fashion presents market place for clothes, shoes, accessories. SOFTWARE PROGRAM Easy Shipper - is a software, which simplifies your everyday job with dispatches. Cargo tracking is available on web site as well. IT INTEGRATION makes available API for IT integration, Generation of transport documents, User account, Order management. We are members of Global Affinity Alliance, All World Shipping, International Forwarding Association, World Cargo Alliance. We are the holder of the ISO 9001:2008 Certificate issued to the Company by the certification auditor.